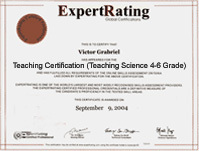 (leading to ExpertRating Teaching Certification-Science: Grades 4-6). This course includes a knowledgeable and caring instructor who will guide you through your lessons, facilitate discussions, and answer your questions. The instructor for this course will be Holly Trimble. About the ExpertRating Online Science Teacher Course instructor : Holly Trimble has a bachelor's degree in physical therapy from the University of Colorado and a master's degree in pediatric physical therapy from Boston University. She completed an additional 15 credit hours in education at the doctoral level. She taught math and science to sixth-graders for several years at a private school, and also worked as a private tutor for children with learning disabilities. She has lectured on health-related topics to all age groups, from school-age children to adults, and has been a guest speaker at colleges and universities including Wellesley College, Boston College, MIT, and Boston University. She is also an adjunct professor, teaching college-level anatomy and physiology courses online and in the classroom. Online Teaching Course (Science: Grades 4-6) requirements: For taking this instructor led ExpertRating Online Science Teacher Course you need Internet access, e-mail, and the Microsoft Internet Explorer or Mozilla Firefox Web browser. "After teaching third grade for the past 10 years, I will teach 5th and 6th graders science this coming year. I am looking forward to using what I learned in this course." "Excellent course - very well worth the time!" "Great set of extra resources (websites especially). I look forward to exploring them in the months to come!" "Great use of the on-line format. Good graphics. It was very useful to have so many reproducibles in this class...that is really helpful. I learned a great deal about science and how to teach it. I will be teaching 2nd grade in the fall but I know I can use/change this material to suit my class. Instructor was excellent-giving so many ideas from her own experience!" "Having never taught science, this course offered me easy to understand information and lots of ideas to use in the classroom." "Holly did a fabulous job organizing and presenting the material! There were many useful suggestions and resources that I feel can be easily integrated into my own class! I would highly recommend this course to anyone looking to increase the teaching value of their science lessons." "I enjoyed this class and found it useful. The writing style used in the lessons made it easy to understand and interesting to follow. It was great to brush up on scientific knowledge, learn some new information, and review some best practices to help me better meet the instructional needs of my students." "I enjoyed this course so much, I have told several of my colleagues about it! I have no doubt that I will be using the information presented to me by my instructor!" "I found this course to be very beneficial to me. I would highly recommend it to anyone who teaches science no matter the grade level." "I have benefited so much from this course. I've never taught Science, and was sort of dreading it, but this course and instructor have me excited. There were so many practical helps." "I have enjoyed every lesson in this course. I even looked forward to each lesson's release! The information you offered was relevant and I did not feel like I was wasting a second of my precious free time. As I studied for the final, I realized how much information I had read in the past six weeks. I would never have been able to cover that much material by reading a book because: 1) I wouldn't think that I had the time. 2) There's often too much "fluff" to wade through. Your course offers valuable and relevant information, split into 12 portions, and "It's all good"-there's no filler. Thank you so much!" "Thank you so much for all the information. 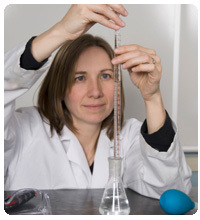 I feel much more capable of teaching science to my students." ExpertRating is one of the world's only ISO 9001:2015 Certified companies (from TUV America) offering an Online Science Teacher Course (leading to ExpertRating Science Teacher Skills Certification). When you choose the ExpertRating Online Science Teacher Course you can be sure that you are buying a premium International certification that is recognized by hundreds of employers and Government bodies in the US and other countries. With ExpertRating you get certified quickly online and you are equipped with a store house of information through the in-depth ExpertRating Online Science Teacher Courseware which has been developed by experienced Education Industry Experts. The ExpertRating Science Teacher Certification (Grades 4-6) is by far the best value for money instructor led Science Teacher Program at $129.99. How much does the Science Teacher Certification cost and what does it include? You can buy this ExpertRating Online Science Teacher Course leading to Science Teacher certification at a special offer price of only $129.99 which includes the in-depth ExpertRating Online Science Teacher Courseware and exam fee. This is the best value for money Science Teacher Program available till date. You get the following services within the USD $129.99 fee. In-depth ExpertRating Online Science Teacher Courseware including scenarios and case studies. World wide airmail delivery of the hard copy Science Teacher Certificate. The Science Teacher Certificate can be used to prove your certified status and does not mention the words "online". The process of getting yourself certified is very simple. All you have to do is buy the ExpertRating Online Science Teacher Course for $129.99. Log in to the instructor led course using your password. Go through the ExpertRating Online Science Teacher Courseware (which would take you 6 weeks) and complete the final Science Teacher Certification exam at your convenience. 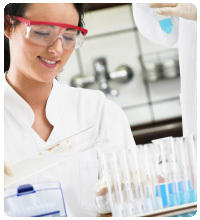 You can complete the exam within 2 months of buying the Science Teacher Certification. The result of the exam appears as soon as it is completed, and your Science Teacher Certificate is mailed immediately. Chapter assignments to help you practically use the Science Teacher that you will learn during the Science Teacher Course. The final exam is fully based upon the ExpertRating Online Science Teacher Courseware that is provided along with the Science Teacher Certification. If you have gone through the courseware properly you should not have a problem clearing the exam. 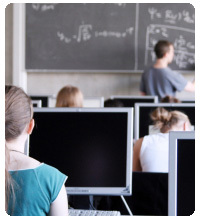 The exam consists of multiple choice questions from all chapters of the ExpertRating Online Science Teacher Courseware. Teaching Grades 4-6 Science is a valuable Certification which will make learning science more interesting and fun for your students. The Teaching Grades 4-6, Science course provides a comprehensive understanding of the physical, earth and life sciences. The course will enhance the science teachers’ abilities to use manipulative materials and scientific techniques. You will also come across scientific terminology during the passage of this course and worksheets and check sheets have been provided which the students can put to immediate use. This course will open new avenues for science teaching by its emphasis on focus for interpretation and scientific explanation. 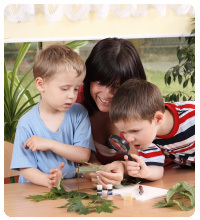 The ExpertRating Teaching Grades 4-6 Science Certification course will make you familiar with innovative teaching methods to teach science to your students. This first lesson will go over the challenges and joys of teaching science to this age group. You'll learn why this subject can be so difficult to teach and some specific ways to overcome those difficulties. This lesson will also discuss how you can help your students use their textbooks most effectively and some great tricks to help your students improve their memories. This lesson will begin with a short history lesson. You'll learn about some of the wrong beliefs scientists held just a few centuries ago and how some courageous scientists challenged those beliefs. Then this lesson will move on to a discussion about different types of scientific research where you'll learn the distinctions between correlational studies, demonstrations, and experiments. This lesson will next focus on using the scientific method to design great experiments, and you'll become an expert at identifying control and experimental groups, and control, independent, and dependent variables. Most importantly, you'll be able to convey that knowledge to your students! For most of human history, everybody believed that the sun and other planets orbited the earth. To help you gain a firm understanding of the nature of science, this lesson will discuss the lives of four scientists who challenged that conventional theory about the solar system. You'll see how peoples present understanding of the solar system changed over time, an important illustration of the development of scientific thought. After you learn about the differences between models, theories, and laws, this lesson will walk you through a lesson plan that will help your students understand the nature of science, and give you some suggestions for special projects your students might enjoy. Research shows that using direct instruction increases achievement in the science classroom. This lesson will explain exactly what direct instruction involves and show you how it lays a strong foundation for higher-level thinking skills. You'll learn about a valuable concept called the Zone of Proximal Development, freeing you to meet the needs of the individual children in your classroom. This lesson will discuss scaffolding, a great technique related to this concept. And to demonstrate these principles, this lesson will go through a lesson plan step-by-step that you can use as a model. This lesson will continue the discussion of teaching methods. First, though, it will discuss the steps successful students follow when they learn new information. You'll see how excellent instruction helps students go through these steps, and how you can meet four distinct objectives when teaching new material. Then this lesson will move on to using outlines, charts, and concept maps. This lesson will share an example of an assignment checklist you can give your students to help them stay organized. This lesson will also include a teacher's checklist to help you plan your chapter and unit studies. Students must write research papers throughout their educational careers. Now is a great time to help them acquire great writing skills through direct instruction. To help all the students succeed, a guide was developed to help them, including pages to help them organize their notes, a set of questions they should answer, a way to record the references they used, and templates for their bibliographies. For further assistance, they were given checklists to keep them on track. This lesson will share this guide with you, and you're free to use it with your own students. This lesson will also talk about why you should reduce your support during subsequent papers so your students become more independent. You all know those teachers who seem to possess a special magic. Their students love them, yet they aren't pushovers. Successful teachers understand the importance of a positive emotional climate in the classroom. They know it fosters learning, encourages students' efforts, and builds great relationships. This lesson will discuss specific ways you can be one of those teachers. This lesson will even address the special needs of this age group, since many will begin puberty during this time. This lesson will concentrate on the driving force that exists in both chemistry and physics—the drive for equilibrium. It will start by reviewing some basic principles of chemistry, including the structure and behavior of atoms, ions, and molecules. 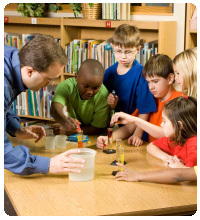 Then this lesson will go over states of matter and the differences between their shape, volume, structure, molecular movement, and energy level. By the end of the lesson, you'll have a good understanding of thermal, mechanical, and chemical equilibrium and you'll know how to teach those concepts to your students. And this lesson will include some fun activities you can share with your students that they'll really enjoy. Amazingly, all living creatures, no matter how different, share some common characteristics. Once your students understand these characteristics, they'll have a greater appreciation for all living organisms. This lesson will go over these characteristics and talk about the way all living creatures are organized. You'll learn more about the different roles of the organ systems, and this lesson will end with a discussion of modern cell theory. Throughout the lesson, you'll be give ideas for activities you can use to teach these concepts to your students. Everything that happens inside living organisms, and much of their behavior, is driven by the need to maintain homeostasis. Homeostasis is the maintenance of a stable internal environment, no matter what's happening in the environment. It's an essential concept for both you and your students to understand, so this lesson will spend some time on it. Then this lesson will go on to a discussion about equilibrium in ecosystems. It will share a unit study that your students will love—the development of an environmental notebook. As most of you know, school districts put a big emphasis on standardized tests. Students are expected to master the ability to read and interpret several different types of graphs. This lesson will use a topic in earth science, the atmosphere, to show you ways to help your students master this skill. You'll learn how to construct graphs one step at a time, so you can pass that skill on to your students. If students can construct their own graphs, they're more likely to accurately interpret those others have made. This lesson will cover pie charts, single- and multiple-bar charts, single- and multiple-line charts, and scatter plots. If your school puts on a science fair, you know that it's something teachers, parents, and students often greet with a mixture of fear and dread. It doesn't have to be that way. This final lesson will give you worksheets and checklists to guide you and your students every step of the way, making the process more manageable. This lesson will also share a guide for oral presentations and a sample judging sheet. It is expected that you'll see the value of science fairs after you finish with this lesson!